Saving for a house deposit is quite a challenge, especially if you have a family and a lot of outgoings. 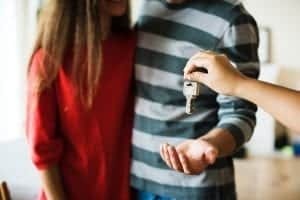 This post is written by Gem, who blogs at www.yorkshiremumof4.com and includes some great hints and tips for saving up a house deposit as a family. We have 4 kids so believe me when I say that budgeting is essential in our household and things are expensive. However we really wanted to buy our own house so managed to save £10,000 to put down as a deposit to help us afford our own house. The tips below are what we used to help us budget, save money and enable us to buy our own family home. Our house that we bought is in a lovely area but needs quite a bit of work so we bought it with the idea to do work on it but it is liveable. We thought over the course of a few years we can decorate it to our tastes and change a few things as we have the money to do so. We decided to take our mortgage over a shorter time then the norm so we could get it paid off quickly and then release more money for developments, however the longer you can take the mortgage over the more you should be able to acquire as it gives you longer to pay it back, it should help you reduce the monthly cost. For example when we were renting we spent £500 a month on rent, a 30 year mortgage (depending on your age) means that a mortgage can be around £350 a month for a £110k mortgage so you will essentially be paying less per month. The other good thing about taking a low monthly mortgage is that you can overpay when you are able depending on your mortgage. If you took out a mortgage where you can overpay 10% this means if you borrow 100k then you can overpay 10k per year so any savings you use to overpay your mortgage will have a great effect on how much interest you will pay especially in the first 2 years. I would definitely advise overpaying if you can afford, we knocked 1 year off our mortgage term by overpaying and saved about £7k in interest alone over the course. We looked into one of the options that meant we could borrow extra for 5 years at no interest however on the 6th year we would have been struggling with the repayments so definitely not the right solution for us. I would say make sure you know what the repayments are monthly, go for fixed term so you know exactly what you will be paying and then budget accordingly. Look at all your income and then your expenditure and make sure you have money left over for fun things like travel and days out as you still have a life to live. We used the Help to Buy ISA and there is also the LISA that you can use to save each month and then when you buy you get an extra bonus from the government. There is some criteria to meet and also some rules about redeeming and at the start we thought the bonus went towards your deposit but it doesn’t, it is used to take off the mortgage after or whatever you want to use the bonus for as our solicitor just sent it to us when they had claimed the bonus. On to saving which is why you are here in the first place. The first step is look at how much money comes into your household on a monthly basis. Look at all the outgoings including everything like bills, petrol, look how much you are spending at the supermarket, how much weekly classes for the kids cost and be honest with yourself about all the costs. Once you know your incomes and expenditure then you know how much you can afford to save. In order to save look for accounts earning a good amount of interest so we went for the Nationwide saver as it was offering 5% and it also had a linked monthly savings account so we had our current account and then paid into the monthly saver for more interest, just remember to check when these periods end as the interest does drop. 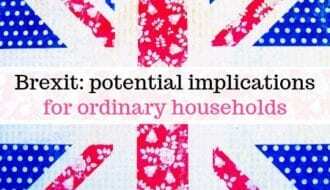 So now you are building up your savings, check the help to buy ISA and utilise what you can of your money there. The government have also set up the Help to Save which does mean you have to be in it for a couple of years however they give you a good bonus when you withdraw your cash at the end of the term. I signed up to this and am saving £50 per month with them as I feel in a few years it is much better interest than could be earned in a bank. All these little things do help. You do need to be willing to cut back on the non essentials – We dropped Sky TV at £32 per month and went to Netflix and we only buy Now TV when there are offers. We stopped eating out as much and we looked for vouchers and more coupons for days out. We go on holidays in caravans at Hoseasons or lodges and then trip advisor local activities to save money but still enjoy family holiday time. We also didn’t buy any unnecessary clothing or footwear for the 2 years and just kept to the essentials. 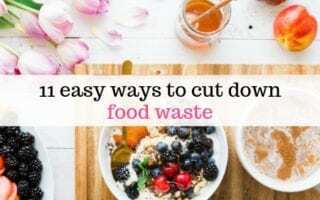 Another saving suggestion would be to meal plan as you can save a lot of food waste and money just by creating budget meals and meal planning. Stews for example, beans on toast or even Strombolis (rolled pizza) – We can feed a family of 6 for about £10 per day. Saving is all well and good if you have money to save but we also need to be making some extra cash as well as utilising our savings. So if you want to make money then you can sell your story to the press, use survey sites and cash making apps or even if you take part in some research that is a one off you can use this cash to put towards your savings helping you to reach your goals quicker. There are many apps such as receipt Hog, Life Points, Vypr and sites like Swagbucks you can join. 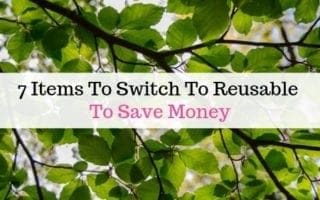 While thinking about making money also realise when not to waste money – so unnecessary buying of Christmas presents is a no, Christmas cards – Pretend you are going eco friendly or even better still go Eco friendly and send an e-card as it is good for the environment and also good for your purse or wallet. 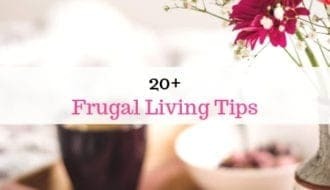 I hope these ideas are helpful in encouraging you to cut back, save money where you can, make some extra cash and research the best options for you house and mortgage wise. You can read more from Gem over at Yorkshire Mum Of 4 or find her on Twitter, Instagram and Pinterest. Next ArticleWhat Should Be Your Next Financial Goal?